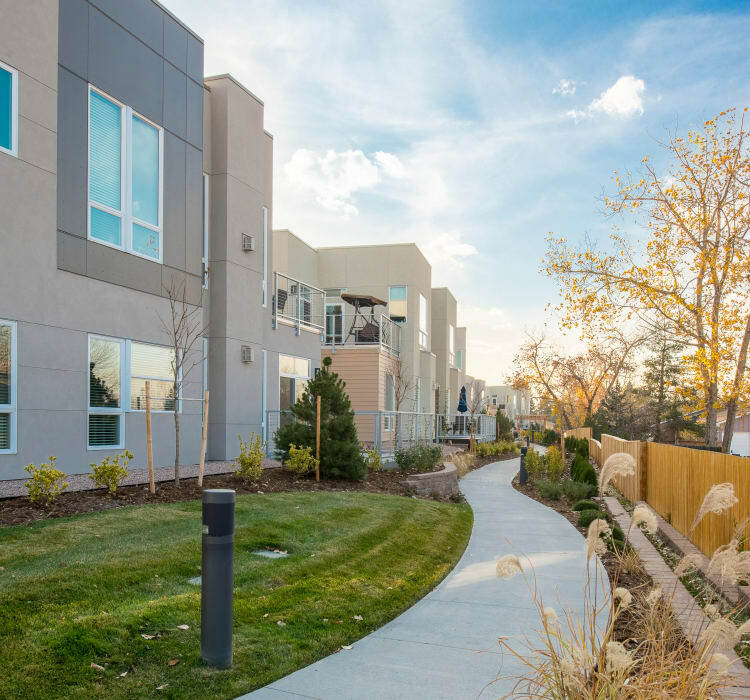 Here at the Village at Belmar in Lakewood, CO, we strive to provide a captivating environment full of amenities that spark curiosity, challenge the mind and body, and provide an improved sense of quality of life. 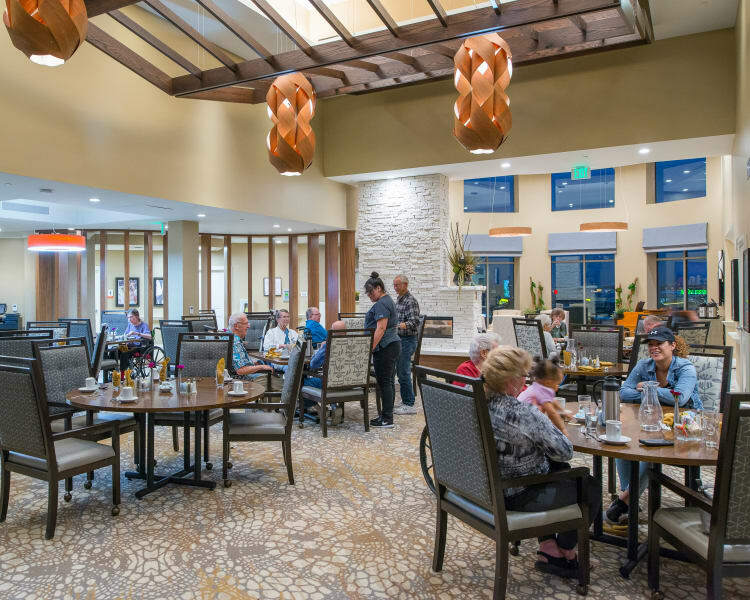 Whether you’re a resident of The Flats independent living community, The Vista assisted living community, or Monarch House memory care community, we provide you with the amenities you’re looking for to create more enriched living every day. An active lifestyle is more important later in life than at any other point. At Village at Belmar, we have made a conscious commitment to provide our residents with state-of-the-art outdoor and indoor strength training options, cardio workouts, and flexibility stations and machines that enrich life. 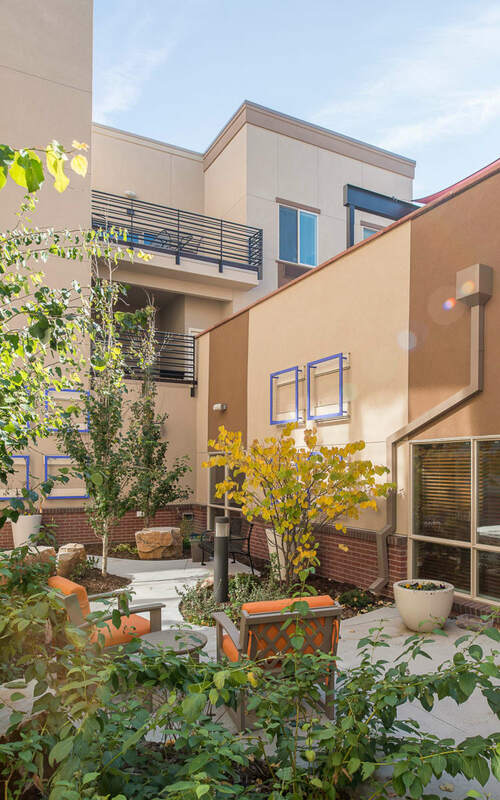 We encourage our residents to take in the fresh air of the great outdoors often. We have a quarter-mile recreational trail woven throughout our community with four diverse stations that will test your stamina. Challenge your skills at bocce ball, putting, or organic gardening. Meet some friends at the outdoor kitchen for a meal, or find a bench and a good read and get cozy in the Colorado sun. Whatever you desire, you have options at Village at Belmar. The walkability of the facility is great. I can walk to groceries and doctor. Basically everywhere. The bistro that has it all is steps from your home at Village at Belmar. At Village Bistro, enjoy a morning coffee and pastry before your day begins. Feast on a “Grab-n-Go” pre-made item or meals prepared to order for lunch. And as you wind down your day, gather with friends or family at the wine bar with a delicious selection of menu items to choose from. The design of the dining room helps you get to know people. It is easy to make friends and be entertained. You deserve the best in senior living. Find it at Village at Belmar in Lakewood, CO.